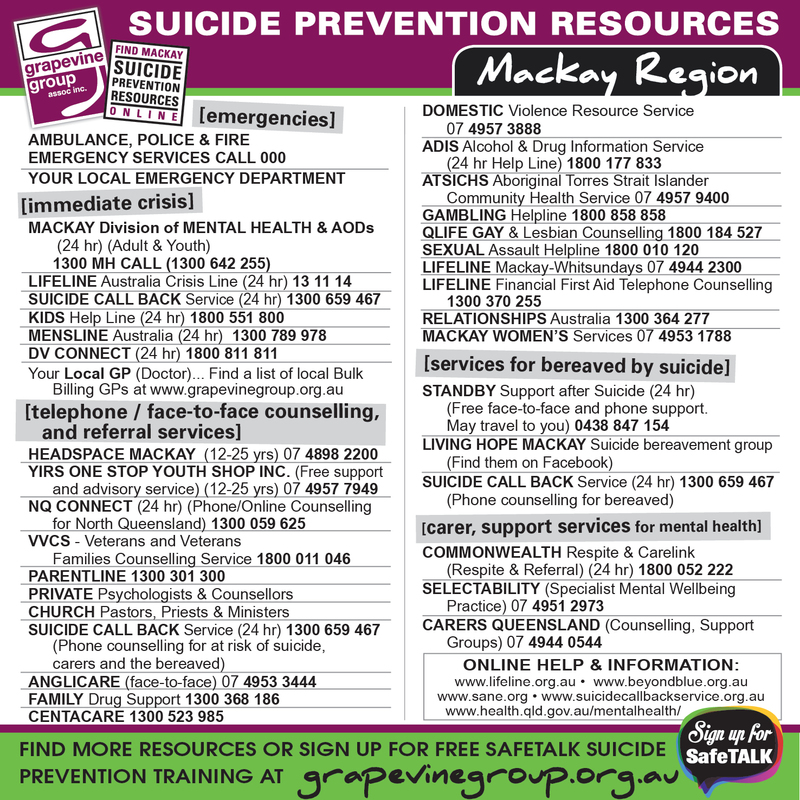 YIRS One Stop Youth Shop Inc.
NQ Connect is a free counselling and support service for people in northern Queensland who are feeling the pressures of everyday life. NQ Connect offers phone and online counselling. You can speak to a counsellor, read mental health and wellbeing resources, join their online discussion forum, and search for a local health service provider. Call the helpline at any time to speak to a counsellor. Phone and online counselling is available 24 hours a day, seven days a week. 24 hour phone. Family Drug Support aims to assist families deal with drug issues. Phone support for the LGBTQI community, 3pm to midnight every day. Counselling and referral service for people who are lesbian, gay, bisexual, trans, and/or intersex (LGBTI). Offers telephone support and counselling to anyone – women, men and young people – who has been sexually assaulted or abused. Offers family dispute resolution (mediation) and a range of family and community support and education programs. Offers women’s counselling, emergency relief, parenting help. Classes, social groups, and workshops for women’s health and emotional well being.